had darri ti bakki- le pauvre, il me fait pleurer, et vous???? qui a dit la vérité? Every once in a while i invite you to look in the mirror and think of what you see is what you like……..we shoud be gratefull to be creatures of Allah,but hélas, we are not always the helpfull neighbour, friend. 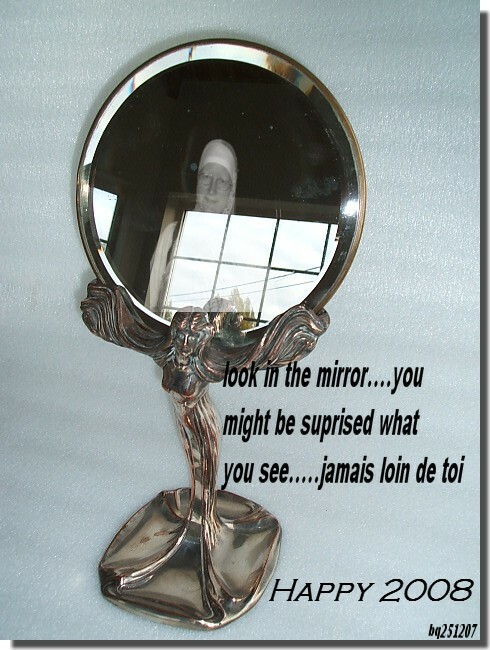 Look in the mirror and be suprised of what you see. I wish all of you a super 2008 .